SR Environmental Solutions Ltd (SRE) was established in 2003 with the sole objective of specialising in the procurement of products, systems and machinery related to waste recycling, treatment, management and handling. It also has a section dedicated to the planning and procurement of urban equipment including playgrounds for indoor and outdoor areas. 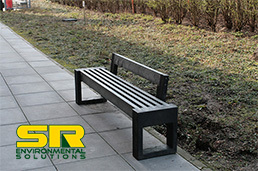 During the years, the business has flourished and SRE has established itself as one of the leaders in the local market. It was also a catalyst in the launching and introducing to Malta many innovative technologies and systems in the ecological and recycling sectors. Through its continual presence in International Trade Fairs, SRE has a established itself as a strong and reliable partner in the setting up of complete waste management/recycling solutions for various sectors, including, corporate, manufacture and retail industry, amongst others. SRE has built its excellent reputation on its efficient and reliable after-sales service, which is made up of specialised technicians and engineers, well conversant with all latest electronic, electric, hydraulic and mechanical systems and technologies. It constantly invests heavily in staff training by sending its technicians to the respective factories for continual training.